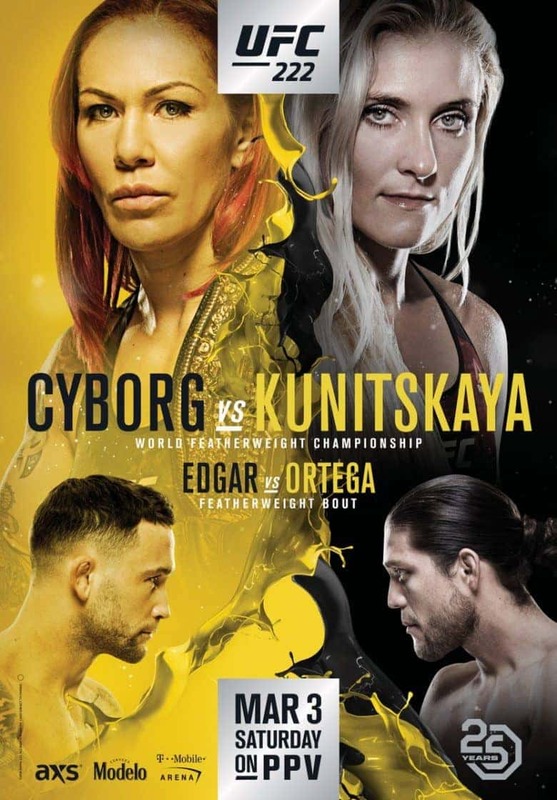 Cris Cyborg takes on Yana Kunitskaya for the featherweight title at UFC 222 on March 3rd! Frankie Edgar will also face off against Brian Ortega in a featherweight bout. We’ll start airing the fight at 10pm. This event is FREE admission! We have large projector screens as well as 17 HDTVs and a TV wall. Come out for some beer and cheer on your favorite fighter! RSVP on Facebook here. DC/VA’s Lele Rose is back from LA for a special hometown performance this Saturday at 9pm! 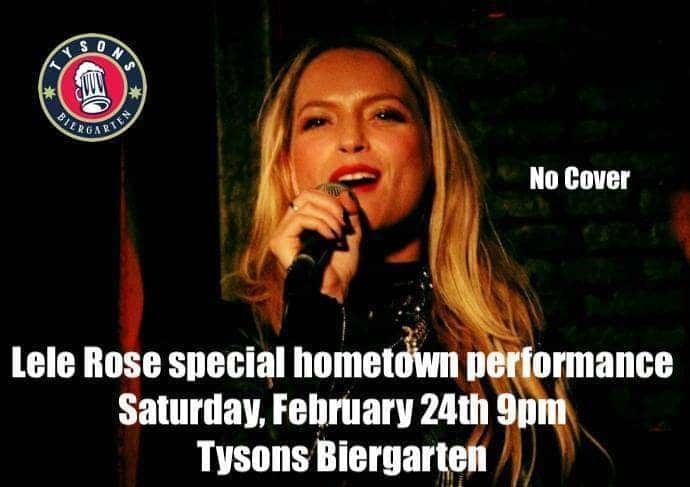 Come enjoy the weekend at Tysons Biergarten, music requests welcome! NO COVER. RSVP on Facebook here! Meet international pop soul artist – Lele Rose. The Washington DC born singer, songwriter and pianist is best known for her deep smoky vocals and her superior classical piano chops. With a powerful bluesy voice, Lele has been compared to the gusty sound of Fiona Apple, the braveness and grunge of Adele, the clear pure confidence of Lana del Rey, and the ridiculously beautiful tone of Stevie Nicks. Her passion for music has led her to perform abroad and landed her a nationwide residency with Seasons 52 restaurants where she can most often be seen singing throughout the Northeast region and Southern California. 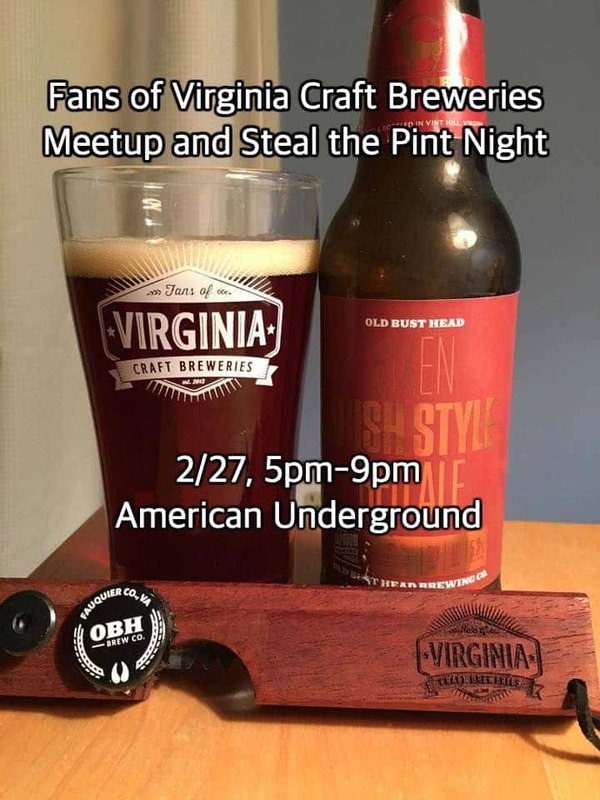 Hey Fans, come join us at Tysons Biergarten for our first Fans of Virginia Craft Breweries Meet Up in NOVA! Starting at 5pm, get your very own Fans Pint Glass with your first purchase! $8 for the first beer and pint glass! RSVP on Facebook here. All 9 taps will feature Virginia Craft Beer and there will be an additional 20-30 Virginia Beers available in bottles. More info coming re: Tap List! Also: Special Happy Hour pricing from 3pm – 9pm! Free Show! 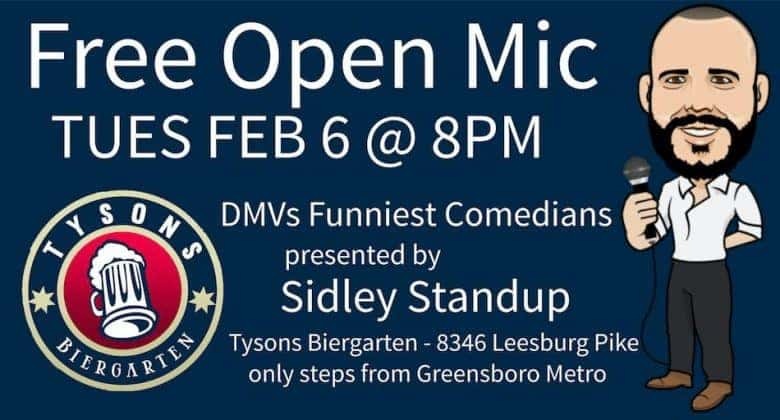 Join us at Tysons Biergarten on Tuesday, February 6th to see DMV’s funniest comedians! Tysons Biergarten is steps from the Greensboro metro. Parking is free outside and in a nearby garage. Vast drink selection and delicious german food is available! Your host is Allan Sidley. Sound by John Coulter. Free tickets are available here! We’re celebrating the ongoing Olympics the only way we know how – with a party. All snow bums and ski bunnies will find themselves at home on Friday, February 16th at 8pm! Dress up to hit the slopes, but hit the bar instead. Shotskis for everyone! Since we know how dedicated you all are to winter sports, we’ll have the Olympics on all night. At 8pm, it’s the Women’s Alpine Skiing gold medal final, with the gold medal final for Women’s Freestyle Skiing happening concurrently. We’ve reached the halfway point of the NBA season! Sick of being dunked on by life? Now the tables turn as you can watch the NBA’s biggest talents dunk on an actual basket, this Saturday at 8pm! 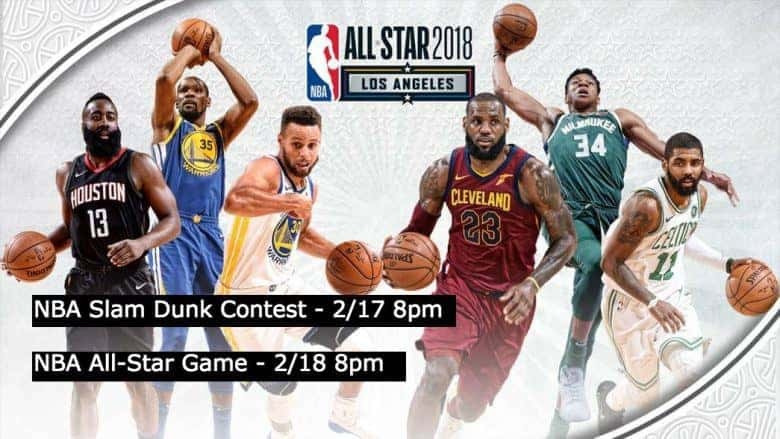 The All-Star game itself is Sunday at 8pm, with Bradley Beal and John Wall representing the Wizards. RSVP on facebook here! Bring your buns to Tyson’s Wurst Comedy Show! We had this crazy idea. What if there was a place where you could laugh at nationally known comedians while eating quality food, and drinking great beer?! So come wash down a hearty laugh with a hefeweizen and chuckle with a cheddarwurst, or a close friend. Seating at 645, Show starts at 730. Tickets here. 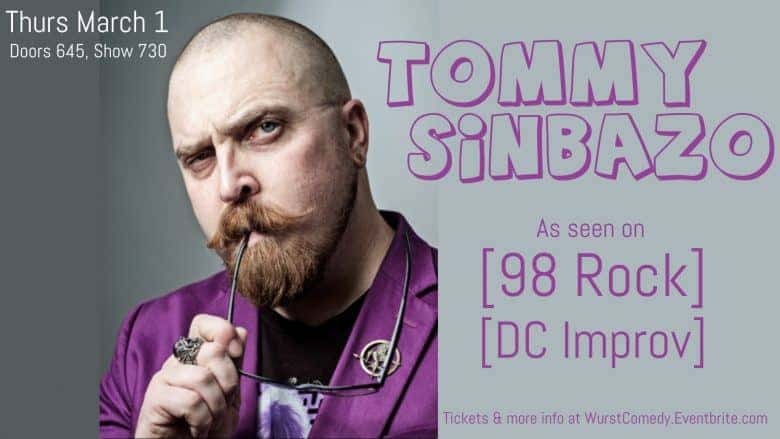 Mixing a quick wit honed through years of Improv Comedy experience, raw honesty, and his own, odd outlook on life, Tommy Sinbazo has kept audiences laughing for over 12 years. You’ll never know what Tommy’s going to say next– mostly because he doesn’t either. His high energy, often off the cuff act touches on topics ranging from relationships and childhood, to self-love and crafting. He frequently appears on Baltimore’s 98 Rock, and has performed for the troops all over the world. Brat to you by Sidley Standup. Music by John Coulter. The Super Bowl will be played on Sunday, February 4th, at 6:30pm, and we’re showing the action live at the Biergarten! ★★★We’re also having a WING EATING COMPETITION during halftime! You can register for $20, which includes 18 (VERY SPICY) wings and 2 beers (Fair Winds Brewing Company’s Quayside Kolsch and/or Howling Gale IPA). The first one to finish their wings wins $100 – no drinking allowed during the eating! Click here to get your spot for potential glory. We will be joined by Fair Winds Brewing Company with Sessions In the Abyss on draft, and Quayside Kolsch and Howling Gale in cans to help quench your thirst after eating those hot wings. 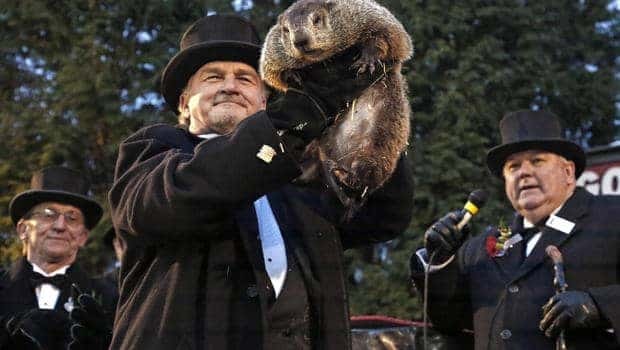 February 2nd is Groundhog Day! By 5pm, we’ll know if we have to suffer through more winter or if spring is coming early this year. Either way, come on over to the Biergarten to celebrate/cry! We’ll be showing the documentary Groundhog Day, starring Bill Murray, starting at 5pm in our American Underground downstairs bar. Top hats are not required but HIGHLY encouraged! 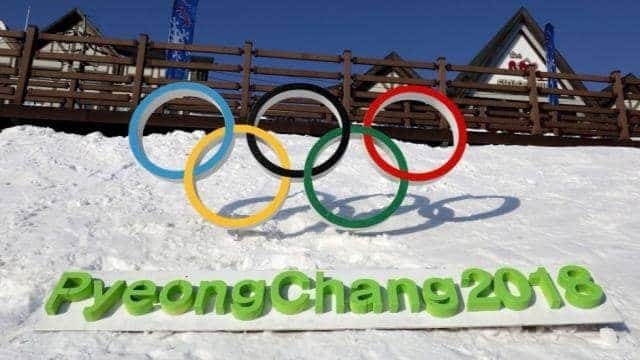 Your favorite neighborhood sports Biergarten is ready for 2018 Olympic action! Starting late Wednesday and continuing until the 25th, we’re your Tysons Olympic center. If it’s on TV between the hours of 11am-2am, we’ll put it on! Happy hour is from 3-9pm every night.